The Pacific War Online Encyclopedia: Power, Thomas S.
Table of Contents Next: Pownall, Charles A. Power commanded 314 Bombardment Wing during the strategic bombing campaign against Japan. He led the devastating firebombing raid against Tokyo on 9/10 March 1945. 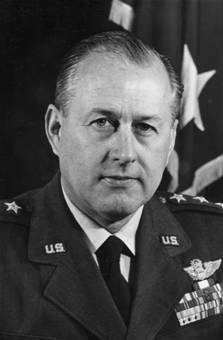 Described by Frank (1999) as "dynamic but autocratic" and by Tillman (2010) as "an intelligent, competent officer almost totally lacking in people skills", he seems to have been a kindred spirit to Curtis LeMay, who he succeeded as commander of Strategic Air Command during the Cold War.